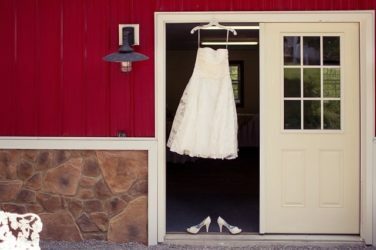 Stemming from my exposure to the concept of barn weddings, here are a few reflections I would like to share. I always cherish the fresh memories of the first barn wedding I attended. It was a unique event hosted amidst sylvan settings that refreshed and recharged the soul of every guest who attended the event. The sun’s rays peeking through the wooded canopy, the romantically dressed cathedral and vaulted ceilings further embellished by stringed lights and chandeliers, bars created from pellets and whisky barrels made the wedding venue feel like heaven. The uniqueness of the barn wedding venue ensued from its historic origins and modern amenities. The vast stretches of serene countryside around the barn provided a feast to the eyes. Following that event, I attended a few other barn weddings, each of them exceptionally great in its own regard. Stemming from my exposure to the concept of barn weddings, here are a few reflections I would like to share. Barn weddings have become a movement today. The topic of barn weddings gained prominence quite a few years ago. Since then, they had grown in popularity making them a wonderful choice for the couple who look forward to make their wedding stand out from the conventional type of weddings. A large number of couples getting married are just falling in love with the casual and rustic experience that the barn weddings stand for. At the same time, barn weddings make it possible to incorporate your own take on tradition. Marrying couples are today inventing myriad number of innovative themes to govern their barn wedding ceremony. The possibility to customize them thoroughly make barn weddings so enticing. At large, barn weddings help break the stereotype that encircles the traditional weddings. In fact, you can say barn weddings are a blank canvas on which the couple can paint their visions and dreams. The huge demand for barn weddings point out to a kind of great shift in the wedding industry. In giving vent to their aspirations to organize a very unique kind of wedding event, the couple are able to embrace their own style, concepts, ideas, whims and fancies. Hence barn weddings transport the weddings to a new era farther from the normal cookie-cutter weddings. Barn wedding is today the perfect backdrop for the couple to design their wedding that can authentically reflect the tastes and interests of the marrying partners. More and more couples getting wedded today are seeking to provide a uniquely different guest experience. They really want their friends and families to gain access to a relaxed, enjoyable and fun-filled time. While this cannot be achieved due to the constraints other traditional wedding venues have, barn wedding venues featuring fire pits, animals grazing in the grounds and incomparable outdoor spaces for some gaming activities are incomparably superb aspects that can tell tales about a barn wedding. Hence we can say for sure that barn weddings are here to stay for a very long time. In fact, barn weddings are the future of how weddings will be organized henceforth. For more information about Georgia Barn Wedding and Barn Wedding Venue Georgia Please visit : Cold Creek Farm.